What do you do when the tried-and-true hammer just isn’t man enough for the job? Well, it’s time for a nail gun if you want to get more work done in less time while barely breaking a sweat. Offering the twin advantages of time and money saved, the modern approach to nailing is hard to beat. Today, we’ll explore framing nailers having recently looked into brad nailers in some depth. If you need assistance with big and high-volume projects, there really is little substitute for a framing nailer. Pneumatic framing nailers work in tandem with an air compressor so you’ll need to make provision for this. They are cheaper to buy but you’ll be much more restricted with the hoses and connections. With a battery-powered framing nailer, you’ll get much more freedom of movement and you won’t need to think about a compressor but you will be limited by run-time so make sure the gun you’re considering is fir for purpose. 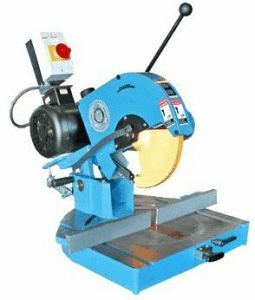 Since recent construction codes demand full head nails, a 21-degree nailer is a superb choice and most of the nailer we look at today are this type. The nail clips are nicely angled so they’ll accommodate the larger diameter of the nail head. If you need to work in tight, awkward spots, a 28-degree nailer is a smart choice. This type of nailer uses nail clips held together with wires. With nails stretched out, you’ll get a much longer magazine. 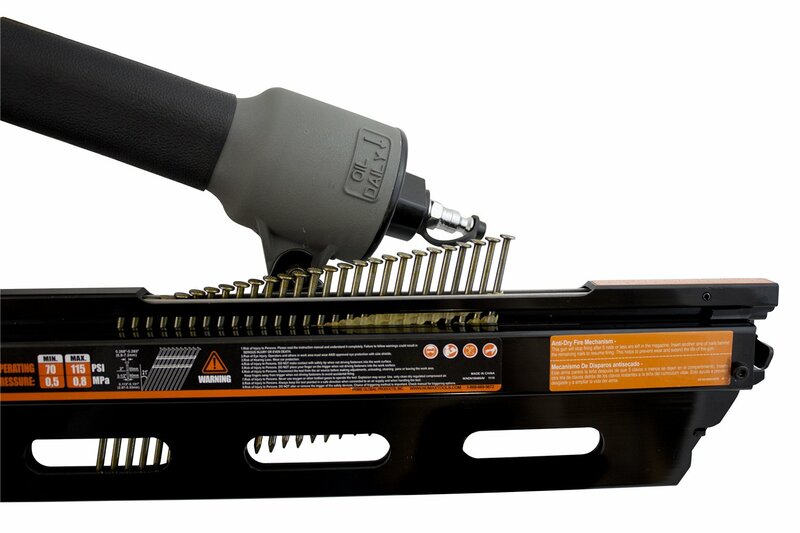 You can use these featherlight framing nailers for long spells in constricted spaces without feeling the pinch. Nail clips come fastened with paper rather than plastic. With a nice, lengthy magazine and the full-head nails you need to satisfy building regs, these nailers are real all-rounders. If you’re looking for a nail gun, it’s understandable if you’re overwhelmed by the breadth of choice available. We’re here to make your life easier today and guide you every step of the way through getting a framing nailer for home or the jobsite. First up in our framing nailer reviews is a fantastic and cost-effective 21-degree nailer from NuMax. 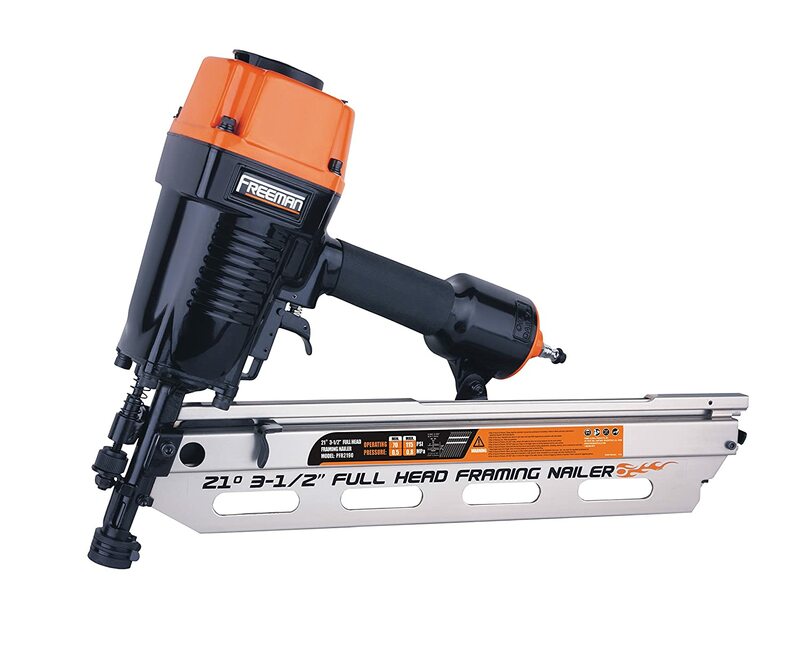 If you’re regularly undertaking projects where a hammer would be too slow and too much effort for you nailing needs, a framing nailer steps think up a notch from the smaller brad nailers we looked at last week. Have run about 4000 nails through it so far. Built a shed, framed some walls in my house. 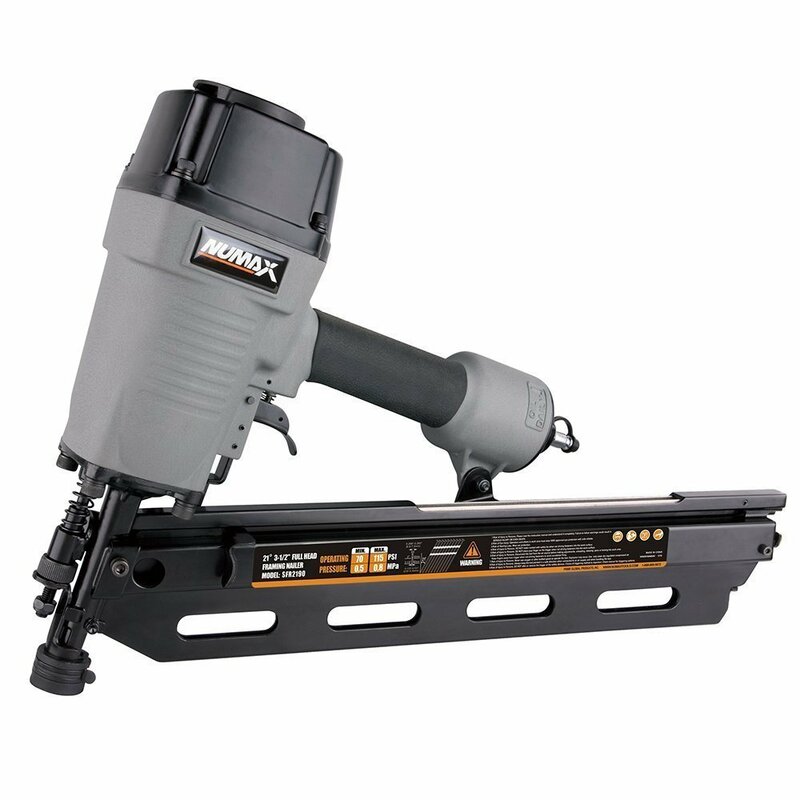 This NuMax framing nailer is a real all-rounder worthy of a place in any serious toolkit. Whether you’re decking or roofing, sheathing or fencing, the SFR2190 is a versatile performer in one powerful package. With a die-cast aluminum body, this nailer feels much more expensive than it really is. This translates to a heavy-duty nailer that weighs under 9 pounds. Even if you need to use the nailer for extended projects driving thousands of nail, you should find yourself burdened down. The standard issue black trigger fires out one nail after another. Quick-smart sequential firing comes with the red trigger provided. This is a nice touch and lets you ramp things up if the needs of the project dictate. The manufacturer recommends 21-degree nails and suggests the plastic-collated variety. This is the type that comes grouped together on little strips. The magazine accommodates nails from 2 inches right on through 3 1/2 –inch beasts so you’re spoiled for choice even for more challenging nailing projects. Running your air compressor at 70 PSI is perfect for most regular applications. You can run on up to 115 PSI if you need to work with denser and harder materials. The ¼-inch NPT fitting thrown in makes connection a cinch so you’ll be up and running straight out the box as long as you have that compressor in place. Although this nailer is cut out for aggressive and ambitious projects, you don’t want speed and performance at the expense of a smooth, accurate finish. The no-mar tip keeps your workpiece mercifully dent-free. If you need a bit more holding power, you can easily disable this feature. As with all the best nailers, the exhaust rotates fully through 360 degrees. This means that whatever angle you’re nudged into with your nailer, your workpiece won’t get belched with fumes and neither will your face. You’ll be able to tweak the driving depth without any fanfare so you can streamline your work and save even more time on bigger projects. With wearable parts backed for the first month and a 1-year limited warranty in place, you really can’t ask for too much more at this price point. If you’re looking for a heavy-duty framing nailer that will return plenty of service at a reasonable price, the NuMax is well worth a place on your shortlist. Whether you’re a woodworker, a contractor or a home DIY enthusiast, the NuMax SFR2190 is a very flexible performer at an almost unbelievably low price point. As long as you don’t expect to start using this nailer day in and day out on the job site, you should get plenty of faithful service for a very modest investment. We really can’t recommend this nailer highly enough. It’s a budget model that punches substantially above its weight. Check one out at your earliest convenience! Since merging with Stanley, you’ll get even more bang for your buck when you buy into Bostitch and this round-head framing nailer comes in the traditional black and yellow livery of the industry heavyweight. Much like the compact NuMax, this nailer is small and light enough to use for long, unbroken spells without fatigue setting in. Weighing just 8 pounds thanks to the innovative magnesium body, you’ll nevertheless get 1050 pounds per square inch at full clip. I just got done building a house with this gun. I looked at many different guns before settling on this one but what clinched the deal for me was the positive placement feature. You’ll get proportionally more power with the Bostitch than with comparable nailers but this doesn’t come at the expense of maneuverability. Despite impressive raw firing power, this nailer is lightweight and nimble. You get the option of both sequential and bump triggers which widens you scope nicely. A pair of nosepieces means you can optimize your nailer for metal or framing. The impeccable 7-year warranty is another small but important way the Bostitch elevates itself above the bulk of the competition. This goes some way to show the confidence the manufacturer puts in this nailer. After all, companies don’t serve up guarantees expecting to lose out on the deal. Now you’ve seen what the Bostitch does differently, how about the normal stuff you’d expect from a framing nailer in this class? You can use any nails from 2 inches up to 3 ½ inches in size so you should be covered for most reasonable projects. The magazine is substantial enough to hold 60 framing nails or 60 metal connector nails. There’s an indicator so you can see clearly when it’s time to reload. 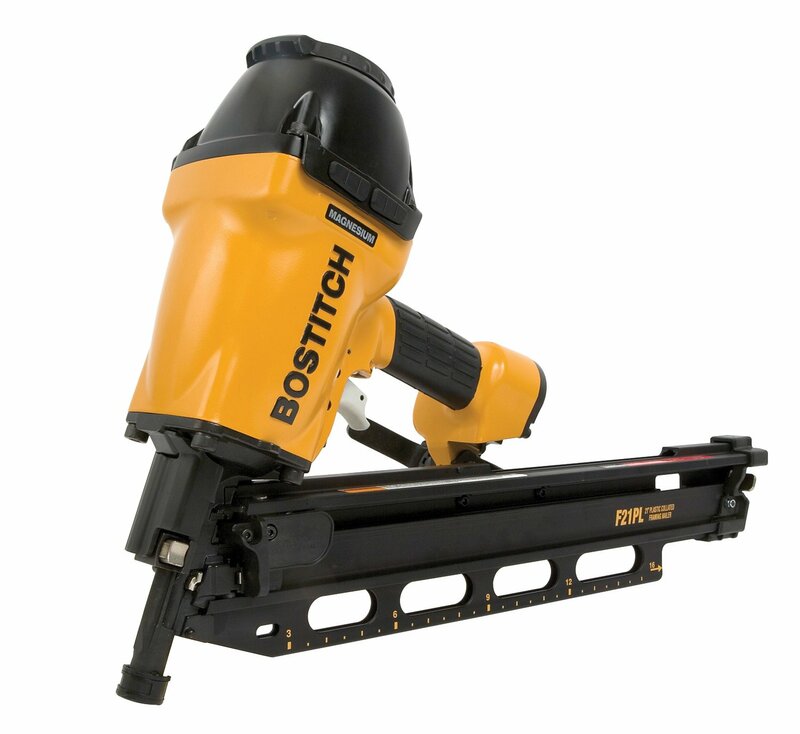 As with all the best framing nailers, you’ll have a tremendous range of flexibility with the Bostitch. Whether you’re framing or sheathing, roofing or decking, this powerhouse nailer will help you get far more done in a fraction of the time without expending much physical effort. Being able to adjust the drive depth at the push of a button enables you to further streamline your work on large projects and really hit them hard. We’ll look now at the chief upsides and drawbacks with this cost-effective framing nailer so you can see whether you fancy giving it a road test. If you’re looking to buy into a brand you can trust without taking out a bank loan, this Bostitch round-head nailer is well worth popping on your shortlist. Sometimes you need the power of a more robust nailer along with a chassis light enough to hold for hours on end. Bostitch manages to pull this off and you’ll be amazed at how much work you’ll get done and how little effort you’ll need to put in. Use this framing nailer on a single major project and you’ll recoup your investment in the time and trouble you save. Go Bostitch and you’ll never look back. This 22-degree framing nailer from PORTER-CABLE is next up in our framing nailer reviews and makes a slight change from the standard 21-degree models flooding the market. You should be clear off the bat that this nailer is certified refurbished. 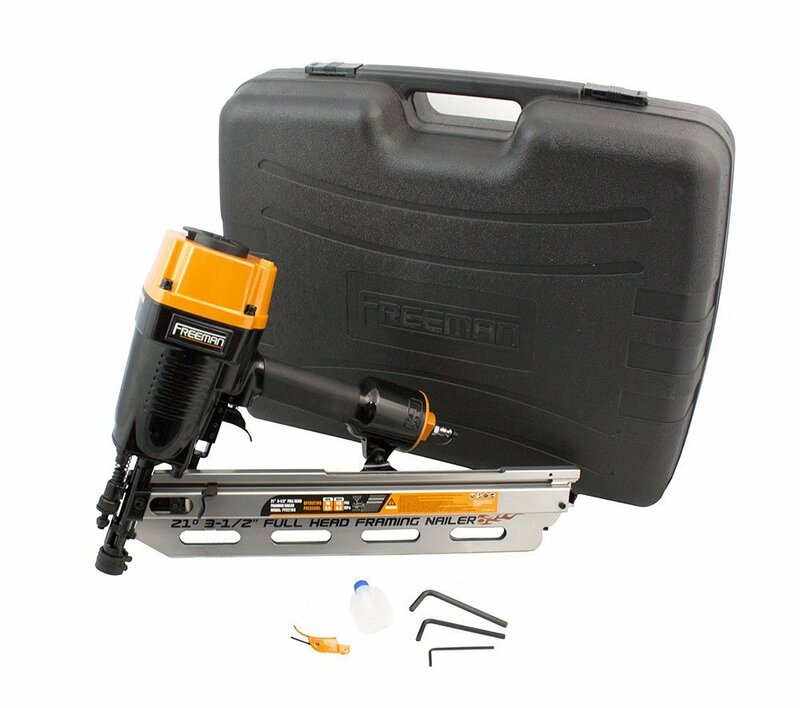 While we don’t generally consider such projects, we made an exception with the FR350BR since it’s an enduringly popular nailer well worth adding to your arsenal. Take a look at the main features then we’ll explore where this nailer excels and where it could be improved. In no way am I a professional. 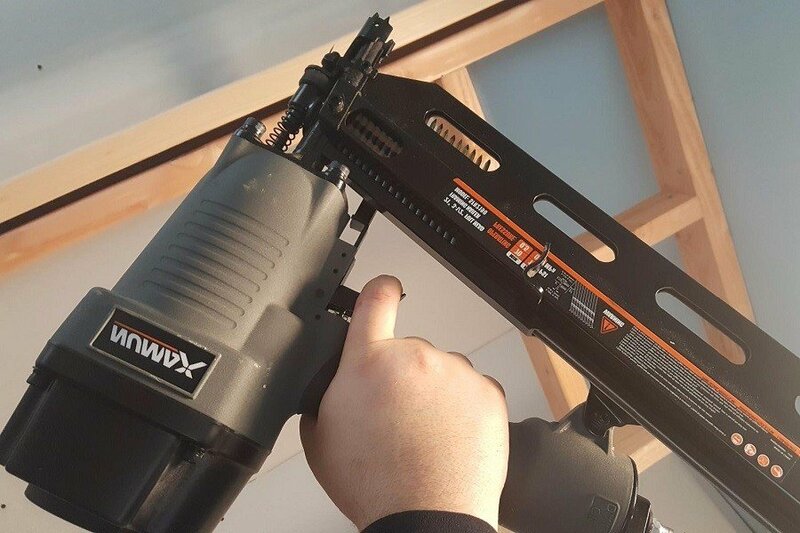 Got this nail gun to build a storage bldg/workshop and have put about 10,000 3 1/4″ nails through it and around 2,000 2″ exterior ring shank siding nails. It has only hung up 1 time and I’m sure that was my fault for feeding 2 or 3 short strips at once instead of using them with a full strip. Seems heavy but, again, I’m not making my living at construction. Great value and definitely a time saver! The first thing you’ll notice about the PORTER-CABLE is the sleek and understated design and the first thing you’ll feel is how lightweight this nailer is at a mere 7 pounds. The magazine on this nailer comes at 22 degrees to the drive axis, a degree out of kilter with the more common 21-degree angle. You will also be able to use 21-degree nails which maximizes your options nicely. Reloading this magazine is quick and easy, an important feature on any labor-saving device. The last thing you need if you want to work quickly is regular pitstops fiddling with laborious loading mechanisms. You’ll be able to use just about any nails up to 3 ½ inches long so you won’t be locked into a proprietary brand. You should always double down on what nails you can use before committing to purchasing any given framing nailer. You should also make sure to factor the ongoing cost of nails into the equation when budgeting. There’s a selectable trigger as with all the best framing nailers and you’ll get trigger lockout for restrictive or actuation mode. This gives you a nice amount of wiggle-room and lets you work more efficiently whatever the application. Although it’s a small thing, the reversible hanging hook shows a nice attention to detail and is much appreciated by anyone taking this nailer out on site. Perhaps one of the less obvious benefits of this prime nailer is the way misfiring and jamming is reduced to the bare minimum. You’re always going to get some issues like this when you’re using nail guns but you’ll find it mercifully rare with the FR350BR. The guarantee is weak at just 90 days. Don’t proceed unless you’re happy with this minimal level of coverage in the event of anything going amiss. The safety seems very temperamental and sensitive so be aware of this in advance. You might also notice some sparking when you’re firing nails but this should lessen over time and is certainly not a deal-breaker. PORTER-CABLE has a hard-won reputation carved out by producing top-tier power tools at astonishingly low prices considering the quality and performance consistently served up. This nailer can cope with occasional forays to the jobsite as long as you don’t expect to use it all day every day and it’s more than sturdy enough to last for years on end in the home workshop. Despite that durability and genuinely impressive performance, the classic FR350BR comes in at a price to suit pretty much all budgets. Road test this nailer today and you won’t regret it. As we near the end of our framing nailer reviews, we’ve got a budget nailer from the lesser-known Freeman. The PFR2190 is a regular 21-degree framing nailer that offers no-nonsense nailing at a price you’ll love. While this framing nailer is decidedly entry-level in terms of price, the functionality and overall feel is more in line with a much more expensive tool. 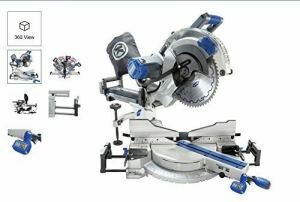 This extends from the build quality through to the unrivalled 7-year guarantee, a rarity in power tools these days. We’ll walk you through the basic features of this nifty nailer then we’ll explain why you should seriously consider adding the Freeman to your toolkit. This might be my new favorite tool in my arsenal of tools. I bought this because I am starting to finish my own basement, but this has drastically increased my pace of work. What would have taken me days to hammer and drill everything, this has done in hours. As with many of the very best framing nailers, you’ll get all the grunt you need in a very compact and lightweight chassis. The anodized aluminum looks great, lasts the distance and won’t feel like you’re carrying a lead weight as you’re nailing. Excellence in build quality extends to top-notch componentry like the oil-free O-rings made from Teflon and all the anti-ding aids you need to keep your workpiece pristine even if you’re working at full clip. The one-piece drive blade is built to last. The magazine, as is fairly standard with this class of nailer, holds 55 nails and you can roll with anything up to and including larger 3½ –inch nails. One thing to be aware of is that this gun won’t fire through the last handful of nails in the magazine so you’ll need to reload prematurely rather than waiting to run completely bare. If you’re planning to use this nail gun for some home DIY, the plastic-collated nails this nailer uses are great since you won’t experience the hazard of flying metal when you’re working inside. All the safety features you’d expect are in place, again surprising but gratifying at this price point. The exhaust rotates through a full 360 degrees so neither you or your workpiece will be exposed to the fumes. There’s also a neat air filter and a cap to prevent any dirt or debris working its way inside your nail gun. The only real niggles from users center on the dual trigger which some have found less than intuitive or ergonomic. This is pretty subjective so you might want to test out the gun and see how you feel. Even if you intend to pick up your framing nailer online, there’s nothing to stop you trying one out in a store first. Think of it as practical, active window shopping! 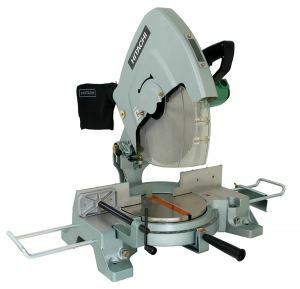 While we normally stick to the familiar old faithfuls here at Miter Saw Judge, the pocket-friendly Freeman is a strong enough performer for us to bend the rules. If you’re looking for a super-light nailer you can use all day without your shoulders and hands aching but you don’t have much to spend, the Freeman is the ideal combination of price and performance. If you don’t fancy the 21-degree model, this gun is also available in 34-degree guise. Check out the Freeman today and you’ll be powering through larger DIY projects with absolute ease. Last, but by no means least, in our framing nailer reviews is the 902600, a very capable cordless unit from the industry giant Paslode. Using a pneumatic nailer makes perfect sense if you already have a well-stocked workshop with an air compressor in place. If you don’t, perhaps you’re reluctant to spend out all that extra cash simply to operate a relatively cheap tool like a nail gun. The Paslode 902600 gives you the chance to sidestep the compressor at the expense of a little weight and a powerful lithium-ion battery that gives you plenty of juice on a single charge. We’ll give you the honest lowdown on what is undeniably a strong contender for the very best cordless framing nailer on the market so you can see whether it would make a good fit with your nailing needs. This Paslode Framing gun works 100x better and easier than my air nailers for a quick job that needs to be done. Now I still primarily use my air nailers for large jobs such as structure builds, but I could use the Paslode too if it came down to it. Paslode make first-rate power tools and, while they are not cheap, the best things in life seldom are. Although this framing nailer is made of plastic, it feels super-solid and the material doesn’t cheapen the overall feel. The handle is treated so it’s non-slip and comfy enough to hold for long periods without your hand feeling like a claw. Cordless technology is not for everyone and many purists will scoff at the idea of this nailer. If you’re not convinced, you’re far better of sticking with a pneumatic nailer. 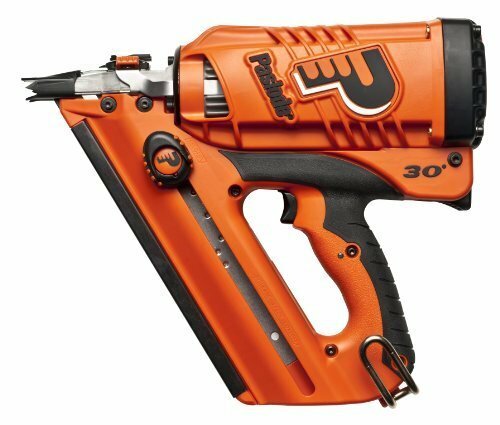 For anyone prepared to give the benefits of lithium-ion battery technology a shot, you’ll be rewarded with a nimble and compact nail gun capable of firing 6000 nails on a single charge. Charging only takes 1 hour so you can still use the gun on site without needing to down tools for the day if you run out of oomph. If you’re right at the tail end of a project and the battery gives out, you can generate enough of a jolt to drive 200 nails in just 2 minutes then you can pack up and head home with the job done. While this element is outstanding, the magazine capacity is much less impressive. 48 nails might sound acceptable but when you consider this gun fires at a rate of 2 or 3 nails a second, you can see they won’t last you long. Put simply, the magazine should be bigger to get the very most out of this adaptable nail gun. As it is, you’ll need to resign yourself to pretty regular reloading if you’re working at full speed. You’ll get everything you need thrown in down to the carrying case so you’re good to go the moment your nailer arrives. We’ll list out the major pros and cons of this powerful Paslode before polishing off these framing nailer reviews and giving you all the information you need to get the best nail gun for your needs. If you’re looking for the cheapest framing nailer, the Paslode 902600 is not for you. If you think the best framing nailer needs to be pneumatic, we’re not here to convince you otherwise. If, on the other hand, you’re looking for a durable and dependable nail gun tailor-made for even more demanding and larger projects from a brand synonymous with power tool excellence, the Paslode is the obvious choice and a staple on construction sites the world over. Now we’re done with our framing nailer reviews, we’ll wrap up today by guiding you through what you need to look for when you’re after the very best framing nailer. 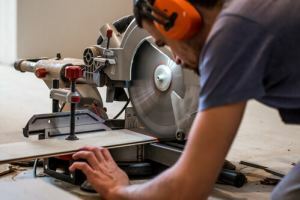 When it comes to buying any power tool, you should always keep the focus very firmly on quality. You’re much better off investing in the best tools you can afford and building up a collection over the years rather than trying to shave a few cents off the price tag only to end up with tools that are a pain to use and let you down. Laser in on your budget and make sure not to overspend if you’re tempted by something flashy and new. While you should seek out quality tools, this doesn’t mean you need to spend the earth. If you’re reading through user reviews and come across isolated negative comments, this is only to be expected. Some customers will almost always encounter legitimate problems even with the best products. Also, it’s not at all uncommon for competing brands to drop in negative reviews. Any time you see the same issue flagged repeatedly, though, it’s worth looking into further since there’s usually no smoke without fire. Beyond that, take the time now to double down on some of the most important elements to consider when buying a framing nailer. As we outlined front and center, your opening decision will be whether you want the freedom of movement a cordless nailer offers or whether you’d prefer the increased firepower and lower cost of a pneumatic alternative. There’s absolutely no right or wrong answer here. Think about your intended projects and your preferences. Consider if you already have an air compressor for a pneumatic nailer and if it makes economic sense to use this type. Home DIY or Jobsite Use? If you aim to use your framing nailer in an industrial capacity, it clearly makes no sense to target lightweight, budget guns. Equally, if you only think you’ll use your nailer once in a blue moon for some unambitious, smaller projects, why waste money on a pro-grade beast? While all of the framing nailers we reviewed today will stand up to an occasional outing on site, only the Paslode will withstand prolonged punishment so keep your expectations reasonable or step up to contractor-level tools. Refer to our guide at the start of this article to see which of these nailers works well for which application. All nail guns will be designed for a very specific type of nails. Some nailers require you to use proprietary nails which locks you in and limits your choice. Most of the best nailers let you use a range of nails between the designated acceptable sizes – usually from 2 inches to 3 ½ inches with framing nailers. Look at the availability of nails for the gun you have in mind and make sure you consider the ongoing cost of these. That said, you should make your money back in no time with the money you’ll save powering through projects. The lighter your nail gun, the easier it will be to use for longer without straining yourself. This is doubly important if you’ll be doing lots of work overhead. Make sure if you are looking for a compact and lightweight nailer that you don’t end up losing out with a flimsy unit not built to stay the distance. All of the best framing nailers come in durable materials combining portability with durability so make sure you don’t get shortchanged. Price will always be a factor in any purchasing decision but it should absolutely not be the determining factor. Think about overall value, build quality and expected lifespan along with your intended purpose rather than focusing purely on the bottom line. Do this and you’ll get the best framing nailer for your specific needs the easy way. Nail guns are incredibly easy to keep on top of. As with all power tools, make sure your gun is stashed safely when not in use and that you always clean it off before packing it away. Use the case provided if you take your nailer out on the jobsite and take advantage of the hanging hook if provided to keep your tools safely off the floor and out of harm’s way. Beyond that, as long as you don’t allow your gun to become caked up with sawdust and debris and you use it carefully, you should expect many years of practically maintenance-free nailing. We very much hope you’ve enjoyed these framing nailer reviews and you’re now well-placed to buy the most appropriate gun for all your nailing needs. While buying a nailer is not rocket science, there are enough variables to make it worth your while doing some careful research first. Buying blind, you’re highly likely to end up with the wrong nailer for the intended job. 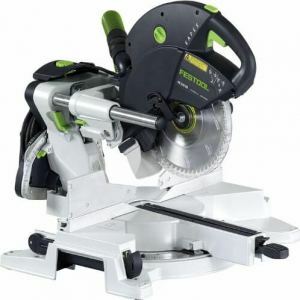 We’ll be taking a look at panel saws later this week so come back soon! 1) WHAT’S THE DIFFRERENCE BETWEEN A FRAMING NAILER AND A BRAD NAILER? A brad nailer fires small brad nails and is ideal for smaller and more intricate finishing work. When you’ve got more robust nailing needs, you should look for a framing nailer. These come into their own for decking, fencing, roofing, and sheathing. 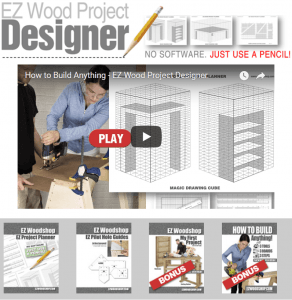 2) WHAT IS A FRAMING NAILER ANGLE? This is the degree with which your framing nailer shoots nails into the workpiece. Common angles found on framing nailers included 21, 28, 30 and 34 degrees. 3) WHAT’S A BUMP FIRE TRIGGER? With this type of trigger, you’ll need to bump the tip of the nail into the workpiece as you depress the trigger. The key advantage of these triggers is the speed of nailing they permit. The main drawback is that you’ll significantly increase the incidence of misfiring. 4) WHAT’S SINGLE SEQUENTIAL FIRING? Slower but much more accurate and controlled than a bump fire, single fire triggers just call for the tip to be pushed onto the wood as you hold down the trigger. You can keep the safety tip in this position and reactivating the trigger fires another nail. 5) WHAT’S SINGLE ACTUATION FIRING? Where you need to operate the safety tip and trigger in order with single sequential firing, with single actuation firing the order doesn’t matter. This allows you to bump fire the first nail. 6) DO ALL FRAMING NAILERS HAVE SAFETY TIPS? No. Smaller nailers often use a single trigger to activate nails and you won’t get a safety tip. 7) IS AN AIR CONNECTOR REALLY WORTH IT? If you’re using a pneumatic nailer, the last thing you want is a dangerous tangle of cables. Keep the hoses out the way to work more safely and to simplify reloading without anything obstructing you. 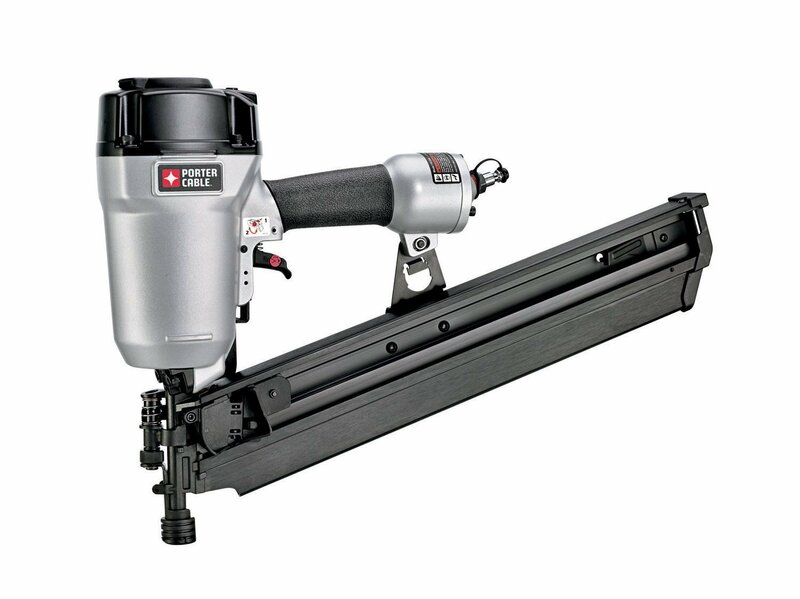 8) WHAT TYPE OF FRAMING NAILER WORKS BEST IN EXTREMELY TIGHT SPACES? A 30-degree nailer is ideal for these purposes. 9) WHAT IS DRY FIRE LOCKOUT? This helps stave off any damage to the driver blade and will remind you to add more nails before the magazine runs completely dry. 10) WHAT’S THE DISADVANTAGE OF A CORDLESS FRAMING NAILER? While you’ll enjoy not needing to drag around an air compressor and the absence of hoses, you will lose out in terms of both weight and capacity but for remodeling, these nailers come into their own.